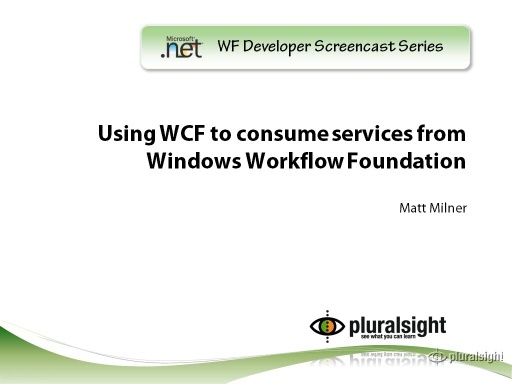 This week's weekly WF/WCF Screencast series shakes things up a bit. 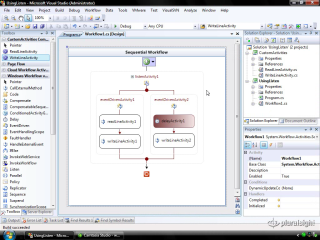 This week is the first in the series covering Windows Workflow Foundation (WF). We will be alternating back and forth between the WF and WCF technologies each month. 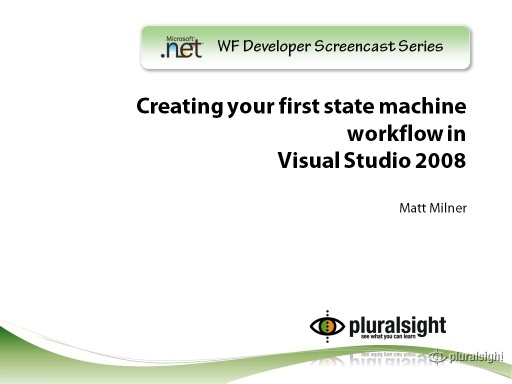 In this short video, CSD MVP Matt Milner from PluralSight guides the viewer through how to create your WF Sequential Workflow. 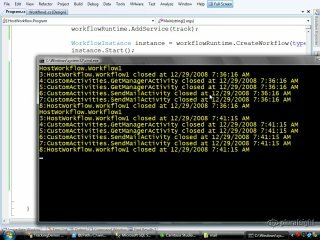 The screencast takes you on a quick tour of putting together a sequential workflow - creating the workflow, adding the business logic using flow control activities, and using custom activities to do the work. As an example, Matt uses the example of processing an eCommerce order - processing a customer purchasing transaction and working with back-end inventory. 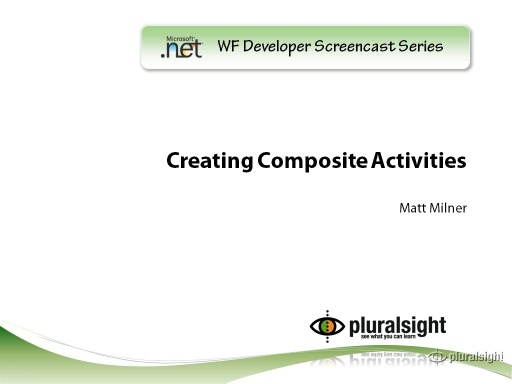 As we create the workflow, Matt discusses custom activities, using base activity library activities, and binding activity properties to custom workflow properties. Compared to the WCF screencasts, this may seem to be a lot more to digest up front, but this screencast provides a good starting overview, that we will drill into as we move through the series. 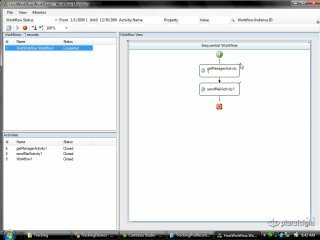 Can you please upload the code sample you use in this demo. I am not able to open this video in Windows 2008 media player. Any workaround for it . If you're having issues viewing the videos over Ch9's infrastructure (it seems to hit some people and not others), you can also try viewing the version hosted on PluralSight's servers. Who do you see as the main users of Workflow Foundation? 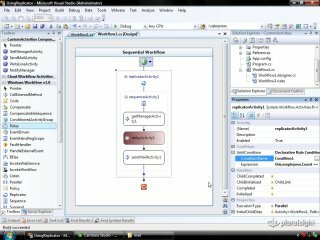 If a developer write ApplicationX would they use WF to design the workflow hard coded into their application or would you see the developer creating Custom Activities that the end user could then use to design their own workflow within ApplicationX? Or is this simply so developers can construct the building blocks so that a non developer (i.e. 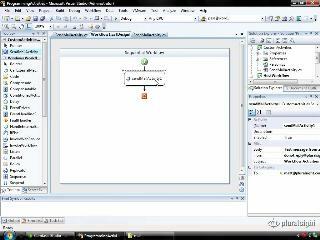 business analyst type person) can design the business flow? I dont think I get it, the video is great and easy to follow. 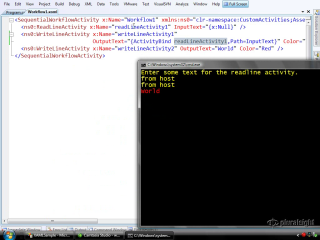 But.... why do I need workflow if I can write this in a c# class? Not understanding the 'value' of workflow I guess. 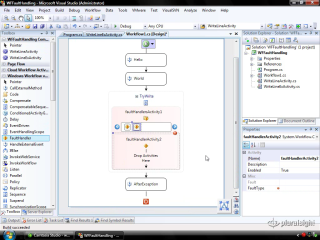 Otherwise the presenter was very good and endpoints videos are easy to follow. Can Mr Milner post it somewhere? Or who has it share with us? Thanks! do I have to login (subscribe) to see source code ?